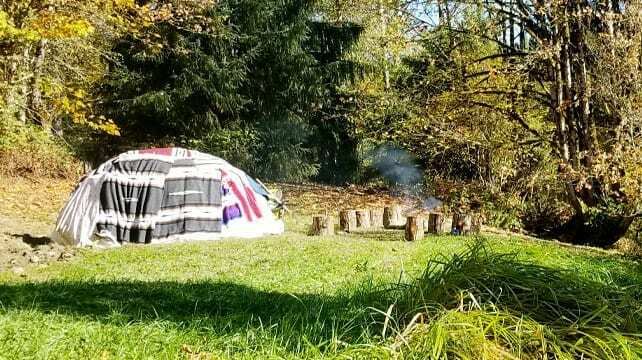 You are invited to join our community at Two Rivers Yoga for our monthly Sweat Lodge Ceremonies. Gathering together for a Sweat is a powerful way to connect to nature, yourself, and to work with the elements and energies of the Four Directions. This is our time to set our intentions, pray for our lives and the lives of our loved ones, and to deepen the relationship to our Spirit. If this is new for you, Greg will answer any questions you may have. After each Sweat Ceremony, we will share lunch if you would like to join us! Below you will see a list of dates that we will host this Ceremony. If you feel called to join us for one of these dates, please email Greg and he will give you all the information you need to know. Due to limited space in the lodge, it is mandatory that you contact Greg before arriving. Please email Greg at gregoryjamiel@gmail.com to reserve a spot in our Ceremonies.